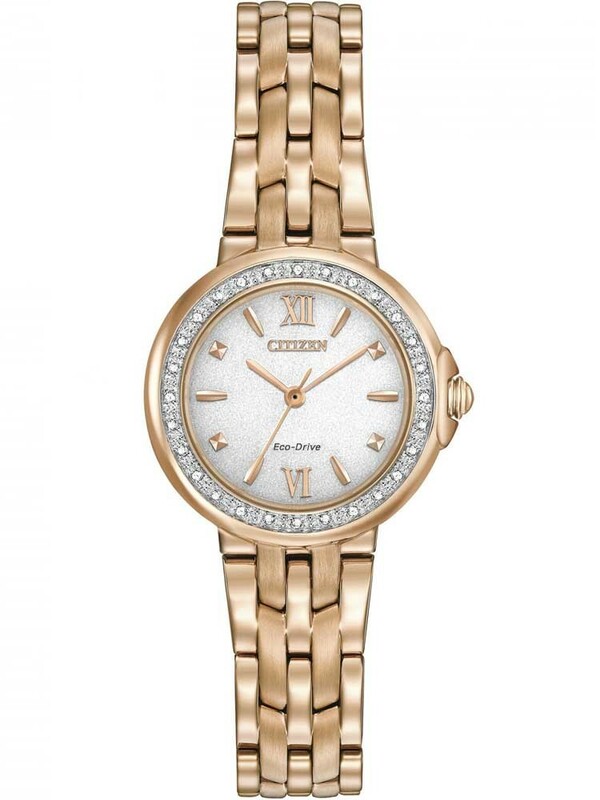 From the Diamond Collection by Citizen comes this beautiful ladies timepiece. 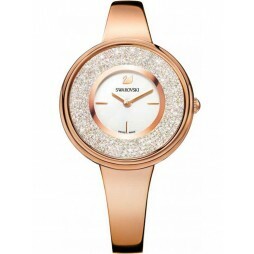 Crafted from rose gold tone stainless steel, sparkling diamonds sit elegantly within the bezel adding a touch of glamour to this watch. 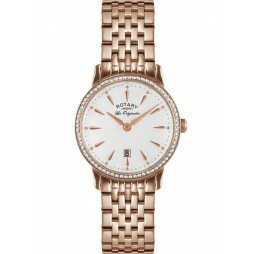 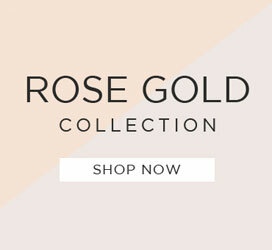 The elegant white dial showcases the stylish rose gold tone Roman numeral hour markers. 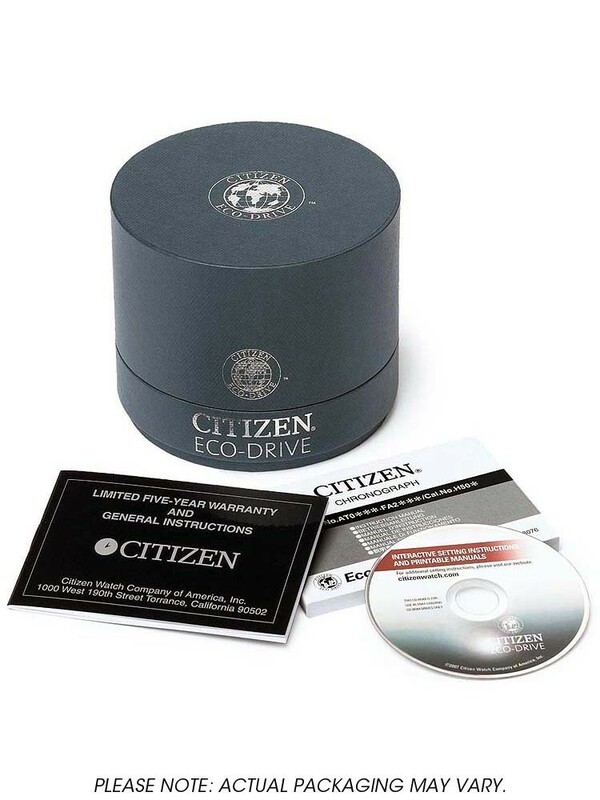 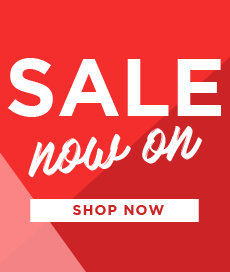 Complete with a 5 year Citizen warranty, this watch will make the perfect gift for yourself or a loved one.